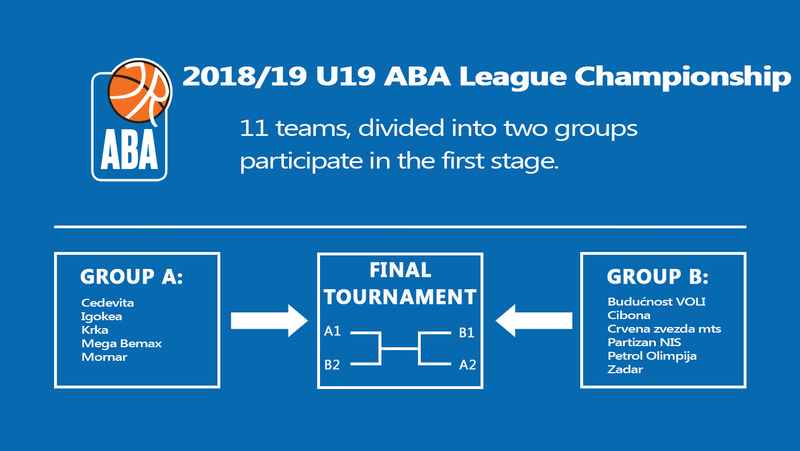 Eleven participating teams for the 2018/19 U19 ABA League Championship - Budućnost VOLI, Cedevita, Cibona, Crvena zvezda mts, Igokea, Krka, Mega Bemax, Mornar, Partizan NIS, Petrol Olimpija and Zadar - will be divided into two first stage groups. In Group A in Bar, Cedevita, Igokea, Krka, Mega Bemax and Mornar will compete. In Group B in Zadar, Budućnost VOLI, Cibona, Crvena zvezda mts, Partizan NIS, Petrol Olimpija and Zadar are set to participate. 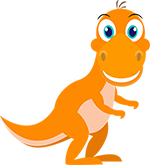 In the first stage, all teams will face each other team within a group in a round-robin system. The two best placed teams of each group will advance to the final tournament. At the final tournament, the teams will play two games – the semifinal and the final or third place game. The winner of the final tournament will become the champion of the 2018/19 U19 ABA League Championship.